A brown suit is as vital as a cup of good, strong coffee in the morning. It gives you the superb opportunity to shine in a sea of blue and grey. Winter is not the time for silky, smooth Super 150s worsteds. Instead, go for fabrics with textured weaves, or with a fuzzy milled finish. 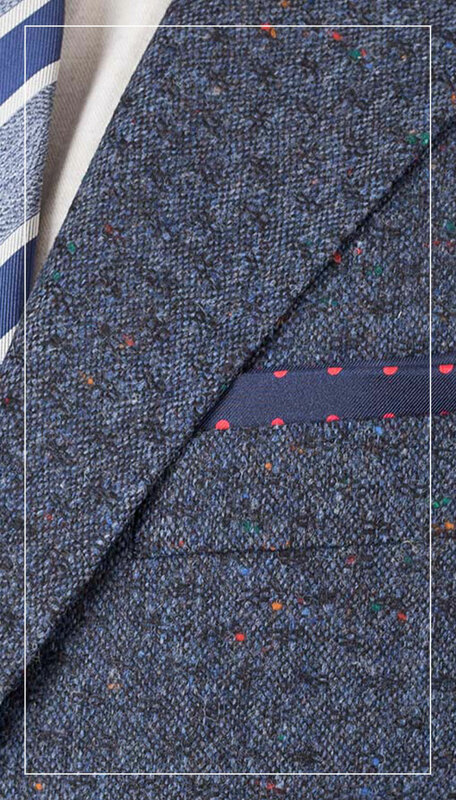 Not only are plaid & windowpane patterns very much on-trend, they are also your best ally for fall & winter sartorial success. Heavier fabrics not only protected you from the cold, but also drape beautifully, wrinkle less and more durable than the all-seasonal wools. 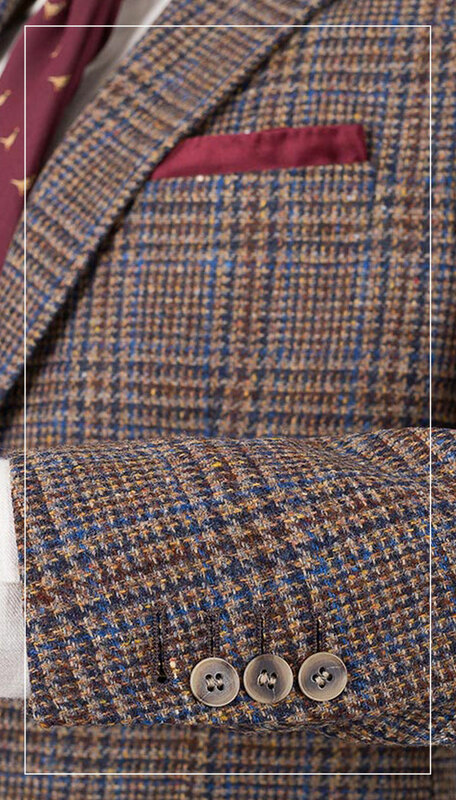 Tweed has many weave & style variations, but any solid brown, solid grey or brown check fabric would be a strong foundation of your winter wardrobe. The man in a flannel suit is not scared of strong wind, cold rain or heavy snow. Comes in two flavours - the traditional, slightly heavier woolen variety or a lighter worsted fabric, combed for that fuzzy finish. This pattern is one of our Autumn / Winter favorites - it will bring out your hunting spirit, while maintaining a classy and polished appearance. 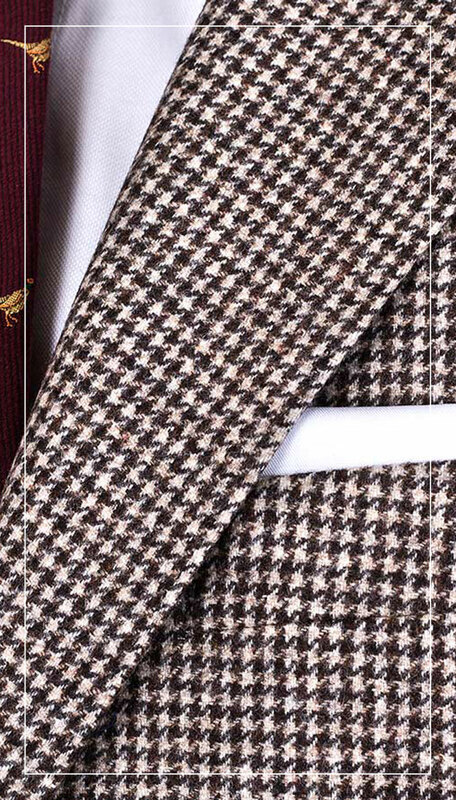 An extra layer of style, sophistication and fabric will keep you warm and dapper. Vests add so much versatility & options for your winter style that it’s time to add at least one to your wardrobe if you have not done so already. 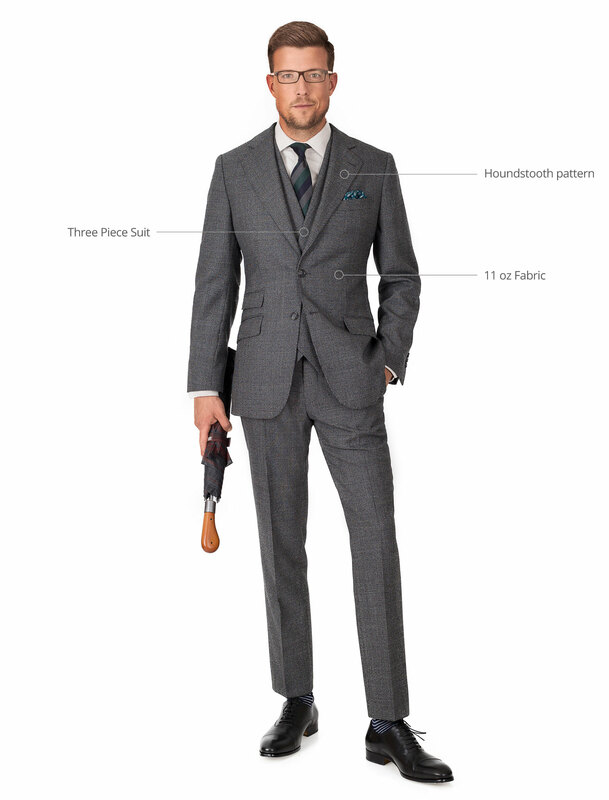 The ultimate in Autumn / Winter look: Dark Grey Houndstooth with strong texture in a three piece custom suit.